LANGLEY — Looking for some plot lines to savour in the world of B.C. boys high school basketball? If so, you’ve come to the perfect place. 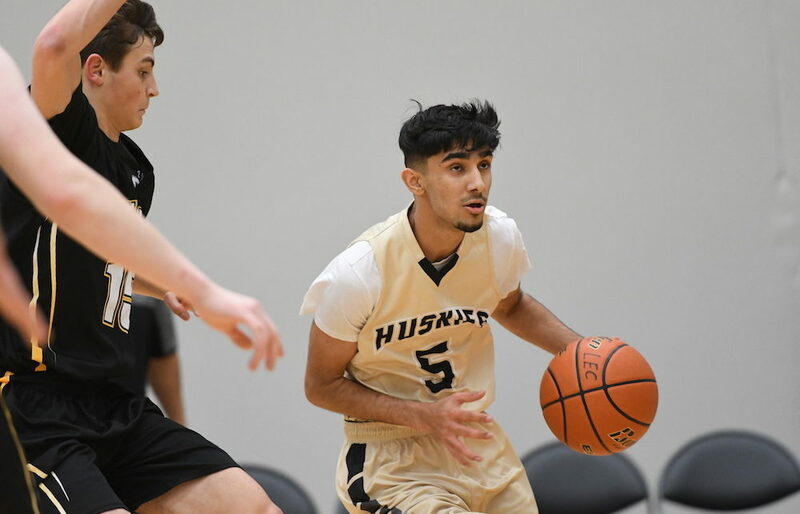 Quad A’s rise of Kitsilano and return to form of defending champion Burnaby South. The dominoes which fell after Triple A’s big Monday upset as Clayton Heights topples the No. 1 the North Delta’s Huskies 88-74. Now, East Vancouver’s Sir Charles Tupper Tigers are sitting on top. The powerhouse Charles Hays Rainmakers, a Double A Juggernaut that is playing like the best of both Quad and Triple A en route to a second-place finish at the Emerald. Single-A? Here’s to some top-end stability. Last week —Def. Fleetwood Park 73-63. Def. North Surrey 76-65. Def. Queen Elizabeth 79-61. This week — Feb. 1 at Oak Bay, Feb. 2 vs, Belmont. Last week — Won all four games to finish first at Vancouver College Emerald tournament. Def. Pinetree 85-40 (league), def. Vancouver College 76-60, def. Semiahmoo 84-83, def. Charles Hays 84-80. Def. Port Moody 89-50. Def. Centennial 92-55. This week — Jan. 31 at Gleneagle. Last week — Def. Burnaby North 82-52, def. Byrne Creek 84-54. Def. St. George’s 77-69. This week —Jan. 31 vs. Alpha. Feb. 5 host play-in winner at Bur-West league playoffs. Last week — Split four games as host of own Emerald Tournament. Def. Belmont 83-70, def. Handsworth 75-71, lost 76-60 to Terry Fox, lost 72-70 to Kitsilano. Def. St. Patrick’s 88-64. This week — Feb. 2 vs. Abbotsford. Last week — Lost 77-69 to Burnaby South. This week — Jan. 30 at St. George’s. Jan. 31 vs. Sir Winston Churchill. Last week — Def. W.J. Mouat 75-65. Won two of three games at Vancouver College Emerald tournament. Lost 89-60 to Charles Hays, def. Oak Bay 117-112 (OT), def. Belmont 81-75. This week — Jan. 30 vs. Abbotsford. Last week — Lost two of three games at Vancouver College Emerald tournament. Lost 88-74 to Kitsilano, lost 117-112 (OT) to Lord Tweedsmuir. Def. Claremont 78-73. This week — Jan. 31 vs. Semiahmoo. Feb. 1 vs. Holy Cross, Feb. 4 vs. St. Michaels University School. Last week — Def. Seaquam 87-58. Def. Centennial 73-71 (OT) at East Side Story. Def. Semiahmoo 69-58. Last week — Won two of three games at Vancouver College Emerald tournament. Def. SMUS 89-59, lost 84-83 to Terry Fox, def. Handsworth 60-50. Lost to Tamanawis 69-58. This week — Jan. 30 at Earl Marriott, Feb. 1 at Oak Bay, Feb. 2 at Belmont, Feb. 3 at SMUS. Last week — Def. Abbotsford 79-53. Lost 75-65 to Lord Tweedsmuir. Def. Abbotsford 82-78. This week — Feb. 2 at Walnut Grove. Last week — Def. Penticton 88-58. This week — Jan. 31 vs. Kelowna. Open play Feb. 7 as host of own Kelowna-Western Canada Invitational. Last week — Def. Kitsilano 95-87. This week — Feb. 1 vs. W.J. Mouat. Last week — Lost two of three games at Vancouver College Emerald tournament. Def. Heritage Woods 82-72. Lost 75-71 to Vancouver College. Lost 60-50 to Semiahmoo. This week — Jan. 31 at Carson Graham, Feb. 5 at West Vancouver. Last week — Lost to W.J. Mouat 79-53. Lost to W.J. Mouat 82-78. This week — Jan. 30 at Lord Tweedsmuir. Feb. 2 at Vancouver College. HONOURABLE MENTION (alphabetical) — Brentwood College (Mill Bay) (HM), George Elliot Coyotes (Lake Country) (HM), Lambrick Park Lions (Victoria) (HM), St. Thomas Aquinas Fighting Saints (North Vancouver) (9), Westsyde Whundas (Kamloops) (8). HONOURABLE MENTION — Bulkley Valley Christian Royals (Smithers) (HM), Fort St. James Falcons (NR), Nanaimo Christian Trail Blazers (HM), Vernon Christian Royals (HM).